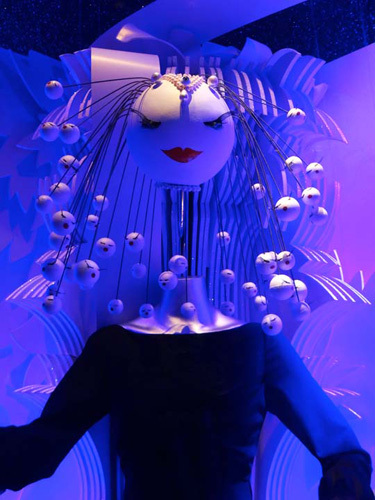 Retail Remedy: We’re wrapping up our Paris Holiday Windows series with an unexpected twist from BHV by way of cutting edge designer Alexis Mabille. Sometimes the less glamorous BHV department store gets it together to do cool holiday windows. 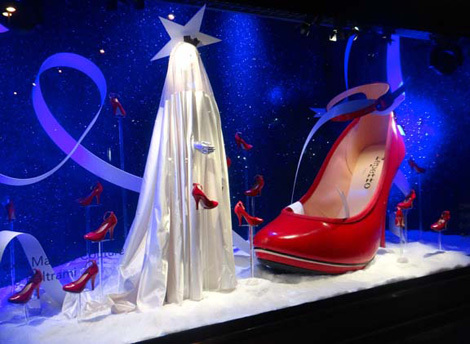 This year they have tapped the hot, of the moment French fashion designer Alexis Mabille to create the windows. These windows seem a lot more kid friendly and have some whimsy to them. 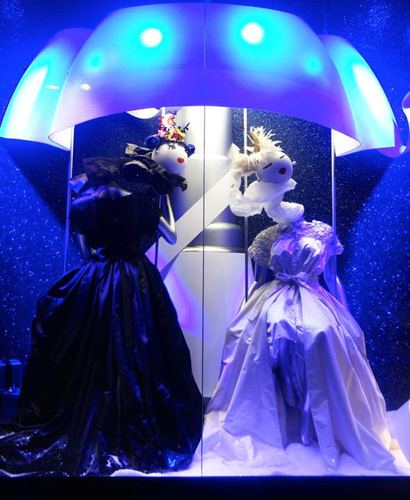 Mabille has adorned the front of the store with his signature giant bow in white lights and the windows feature Mabille’s fantasy couture fashions. Artist Marie Beltrami has designed the fun animal heads topping the mannequins. 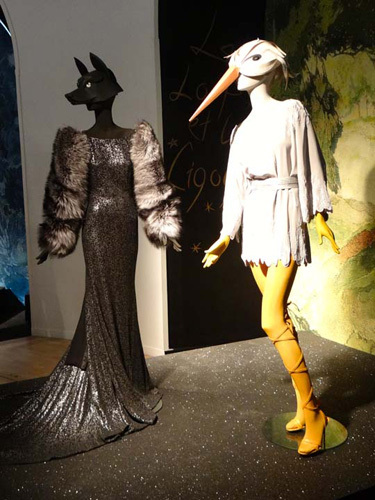 There is an added bonus: A special in-store exhibition Les fables d’Alexis Mabille (Fairy tales of Alexis Mabille) displays more fantasy clothes along with a few accessories that were designed especially for BHV.